We have two ears and one mouth, so we should listen more than we say. All the good are friends of one another. If melodiously piping flutes sprang from the olive, would you doubt that a knowledge of flute-playing resided in the olive? And what if plane trees bore harps which gave forth rhythmical sounds? Clearly you would think in the same way that the art of music was possessed by plane trees. Why, then, seeing that the universe gives birth to beings that are animate and wise, should it not be considered animate and wise itself? All things are parts of one single system, which is called Nature; the individual life is good when it is in harmony with Nature. In one sense, every life is in harmony with Nature, since it is such as Nature's laws have caused it to be; but in another sense a human life is only in harmony with Nature when the individual will is directed to ends which are among those of Nature. Virtue consists in a will which is in agreement with Nature. 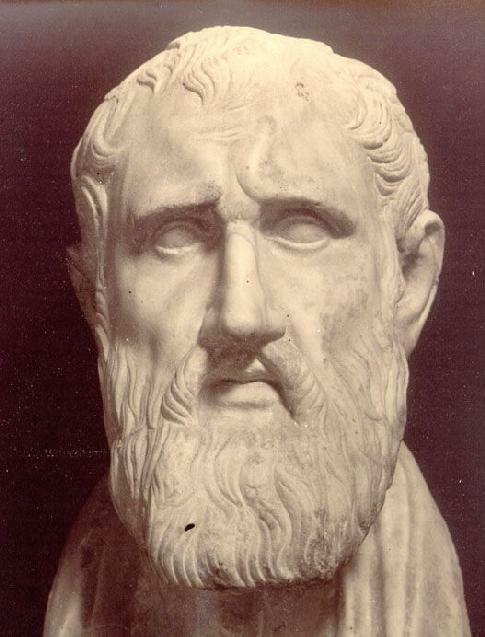 Zeno of Citium was a ancient Greek philosopher. He is most commonly known as the founder of the Hellenistic philosophy school, Stoicism in Athens. A influential philosophy throughout history.